Within Teamwork Projects, you can subscribe to your Teamwork Projects calendar on your iPhone. Go to the Calendar section on your Teamwork Projects site. 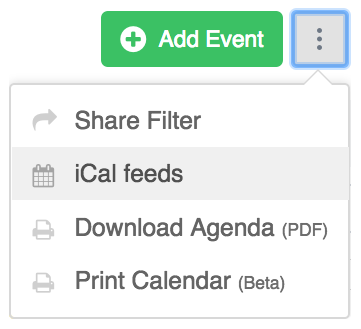 In the Calendar section, click the options (three dots) button near the top right, and select iCal feeds from the dropdown menu. 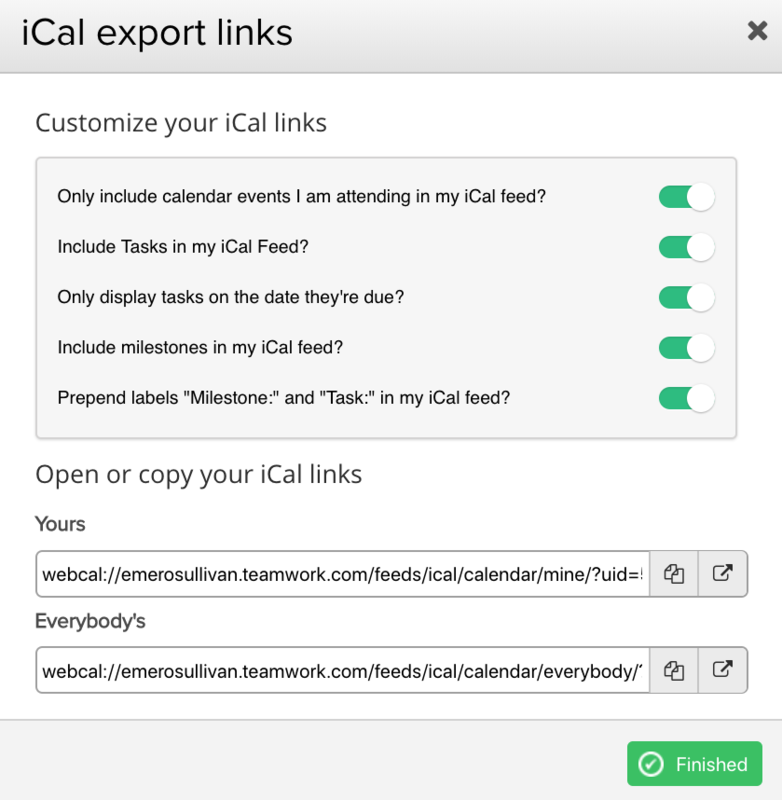 In the iCal export links modal, you will see the iCal URL that can be copied, at the bottom. You can also copy everybody's feeds. Prepend labels "Milestone:" and "Task:"
Copy the required link from the window and send it as a message or email so you have access on your iPhone. Open your device Settings, and select the Accounts & Passwords tab. From there, click Add Account, and choose Other. 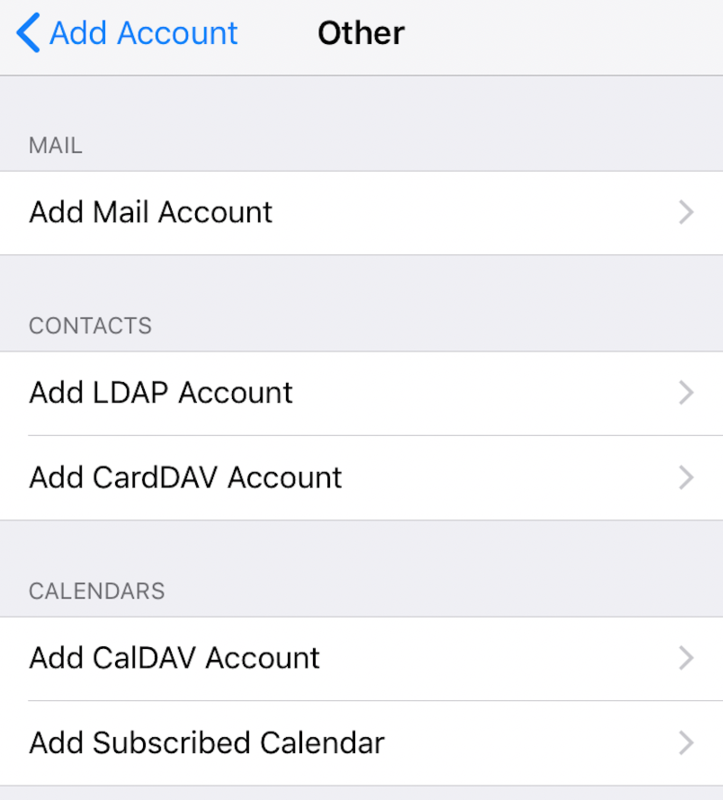 In the Other section, under Calendars choose the Add Subscribed Calendar option, where you will be able to add in your iCal link. 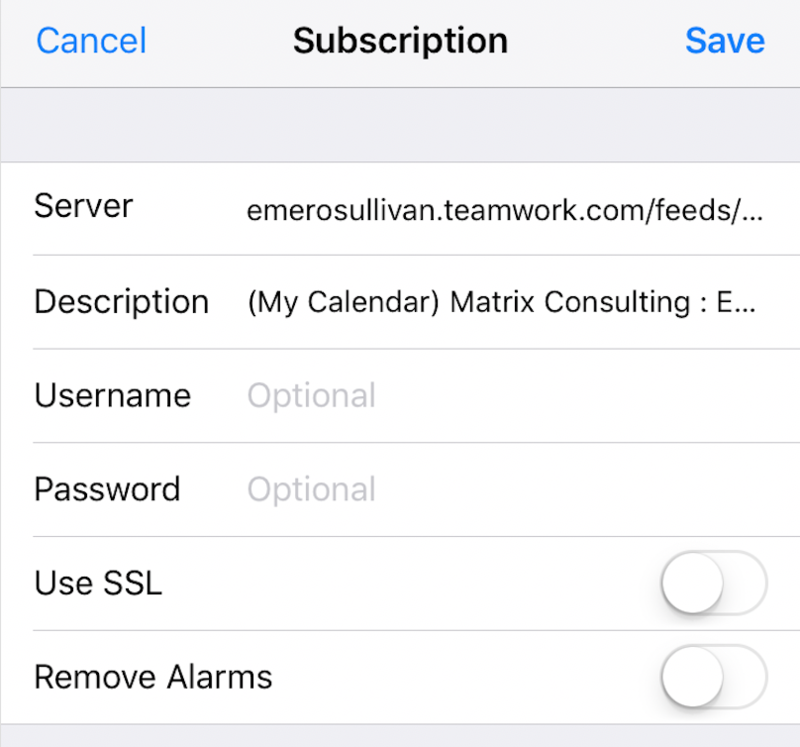 Once you add the iCal link, you can update the description for the feed, add a username and password, enable SSL and remove alarms. Note: This allows you to subscribe to your Teamwork Projects calendar from your iPhone calendar, however you cannot edit events or other items from your iPhone calendar to update them in Teamwork Projects.